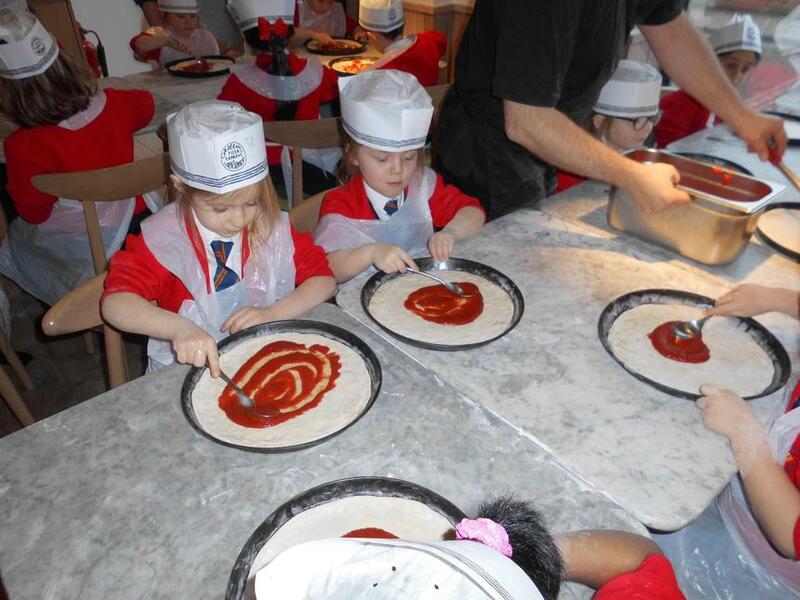 The children had a fantastic time when we visited Pizza Express in Whitstable. 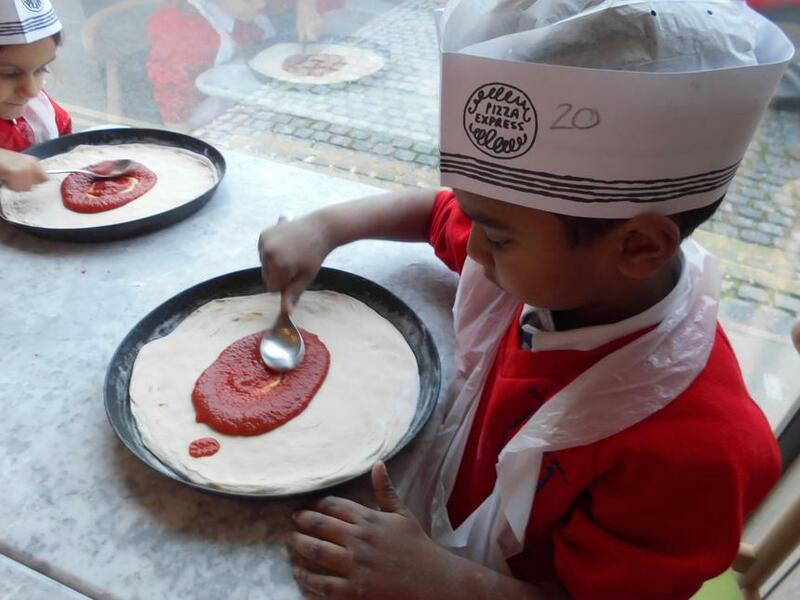 The children became chefs for the morning and learnt how to make a traditional Italian pizza as part of our topic "Foods from around the World". 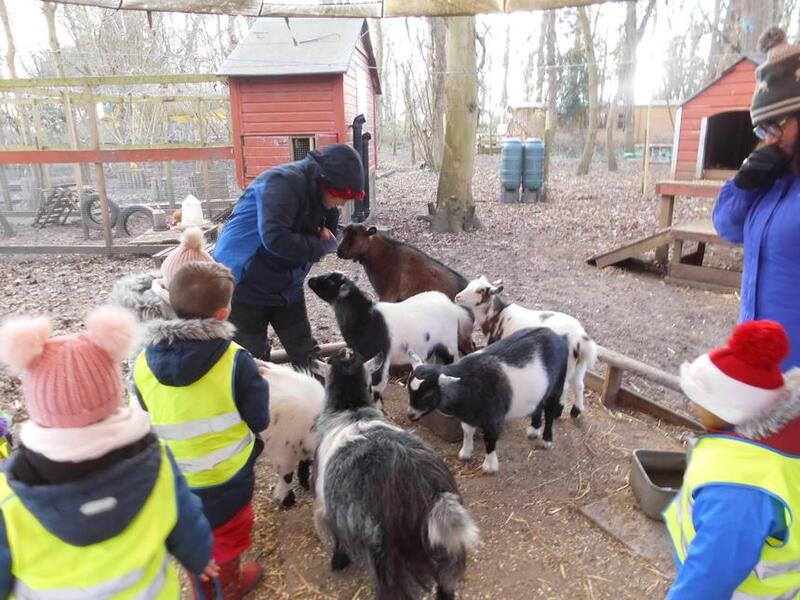 The children had a wonderful time and thoroughly enjoyed themselves. We were extremely proud of all of them as the staff commented on how well behaved they were. What a great start to Term 3. 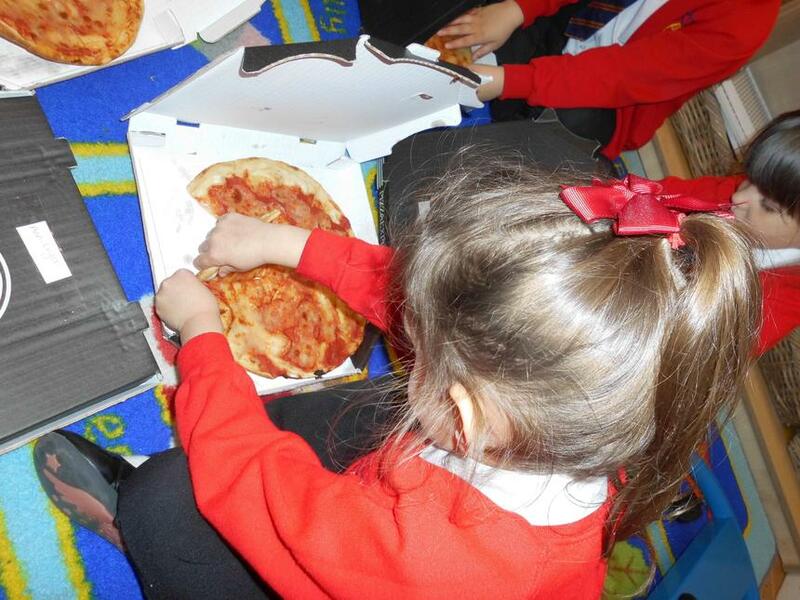 This term the children will be learning about "Food from around the World". We began our topic by looking at traditional English food. 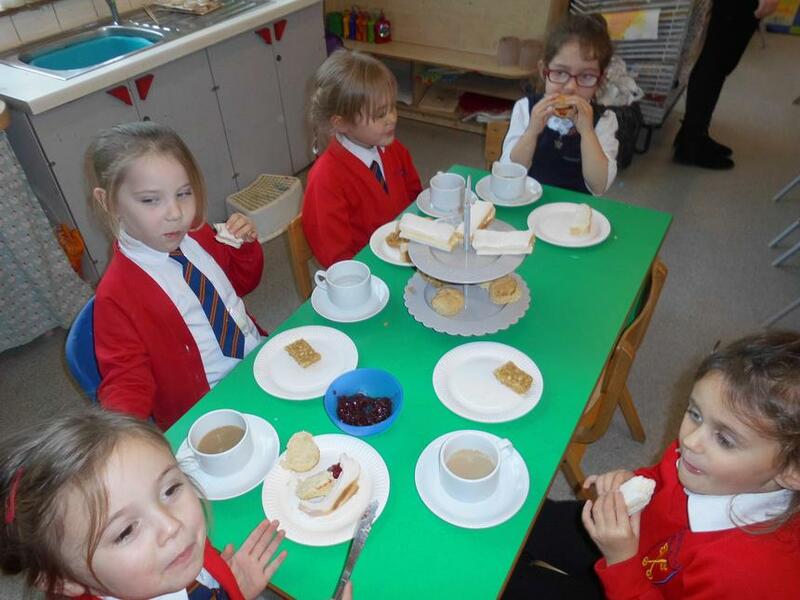 The children prepared a traditional afternoon tea by baking scones and making finger sandwiches. They then sat down to enjoy the afternoon tea with their friends. 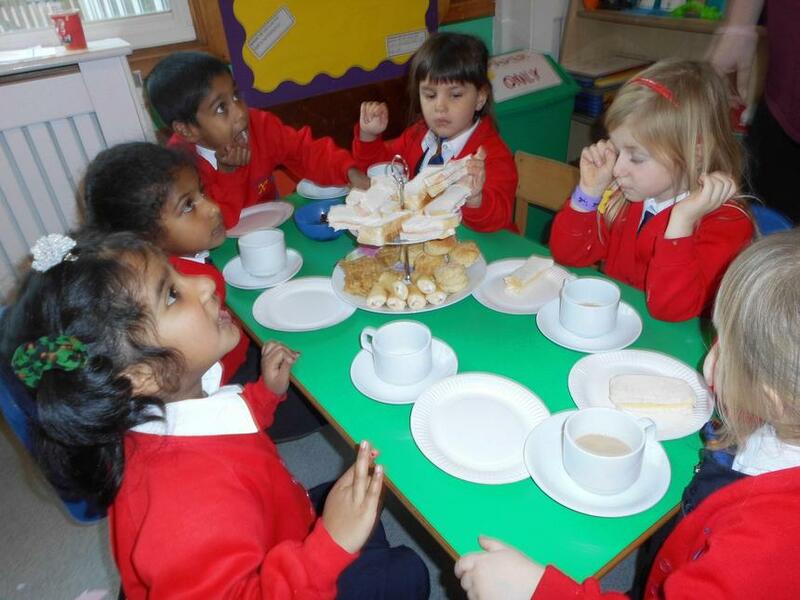 The children enjoyed being able to select what they wanted from the cake stand as well as having a cup and saucer to drink their tea or milk out of. We have had a very busy end to the term with lots of lovely Christmas celebrations. 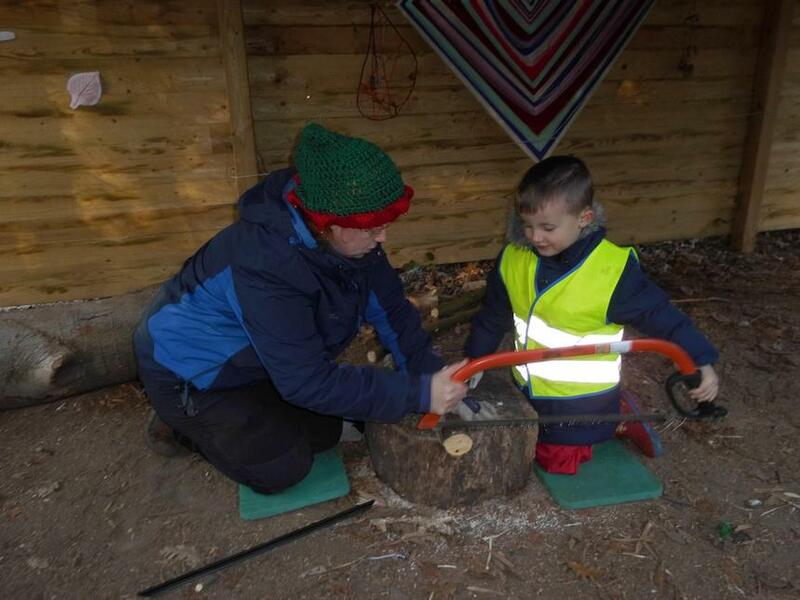 We have been to Forest School where we had the chance to make Christmas decorations using a bow saw and we visited Father Christmas. The children also worked very hard to learn all of the songs and rhymes for our Early Years nativity. They looked fantastic in their costumes and enjoyed sharing this special time with parents and carers. 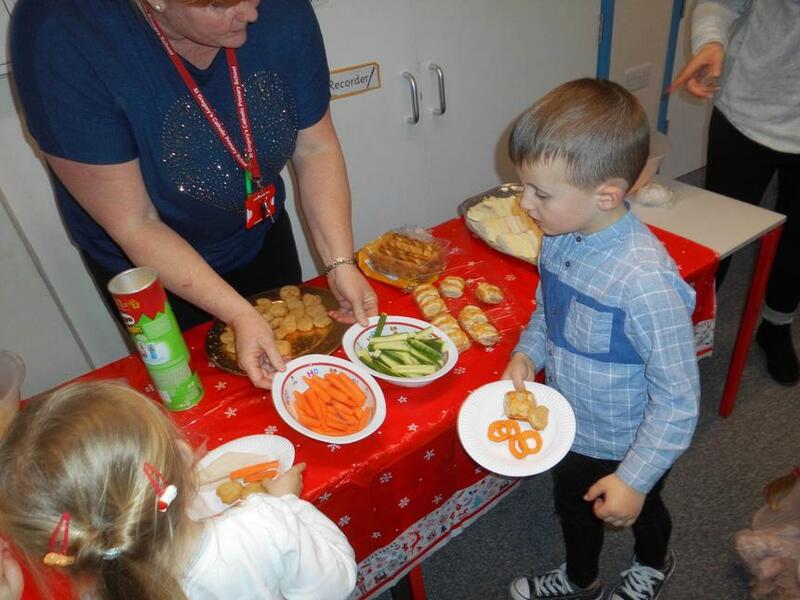 The children also enjoyed Christmas dinner and our class party. 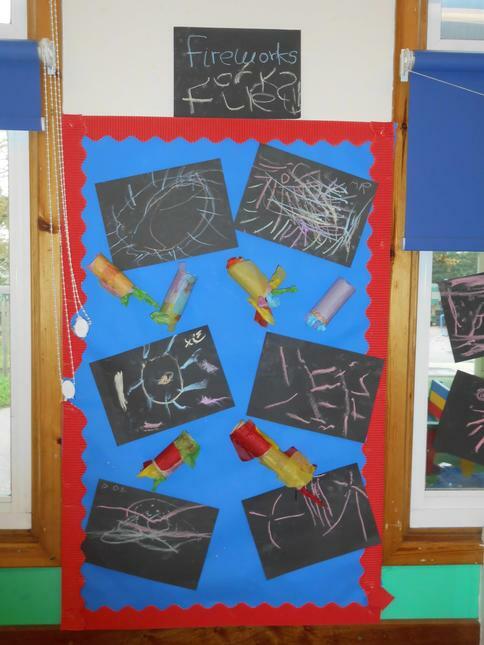 As it was Bonfire night this week we have been busy thinking about fireworks. We have explored the different sounds that they make and have enjoyed making our own fireworks pictures using lots of different art materials. We also wrote some group poems. 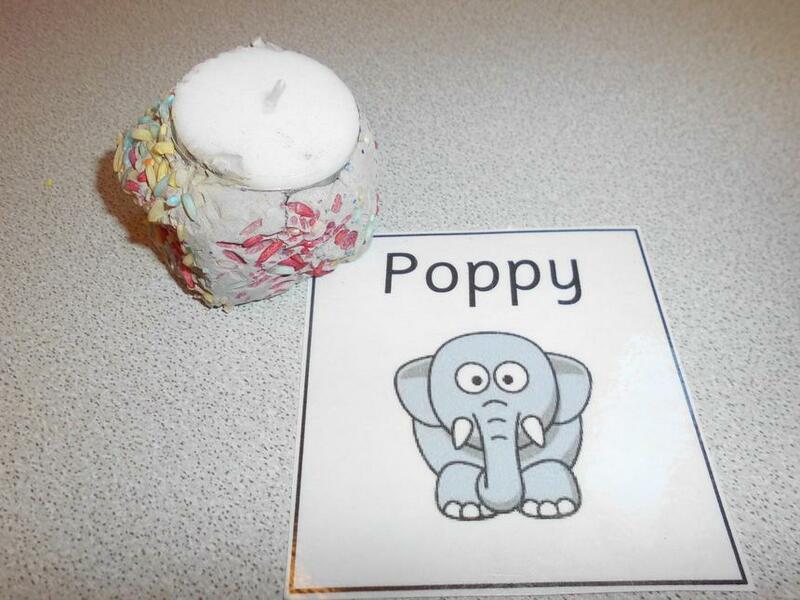 This week we have been learning about Diwali. The children listened to the story of Rama and Sita and have made their own Diva lamps using clay and coloured rice. This week we have had some fantastic work in our construction site. 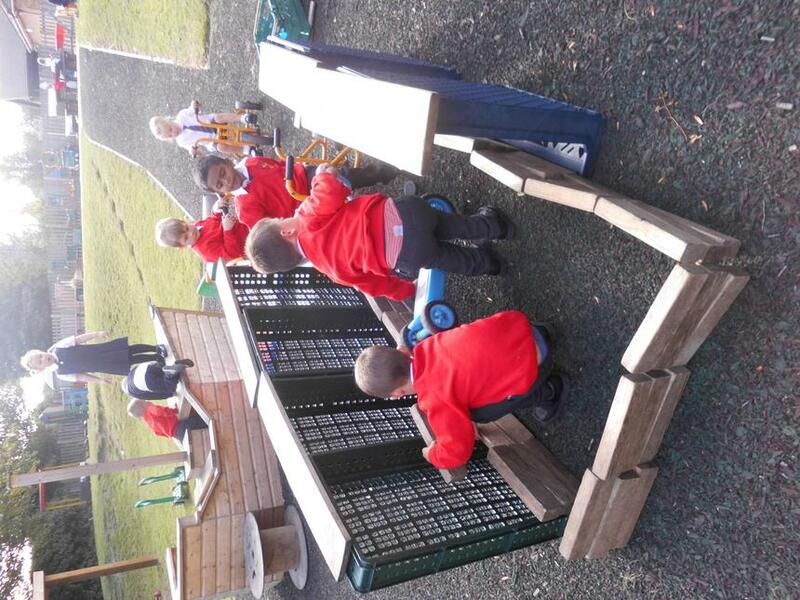 The children created their own car wash using the crates and bricks. They then rode their bikes through the car wash.
We looked closely at our tongues and noticed that they had "spots" on them. We learnt that these are called taste buds. 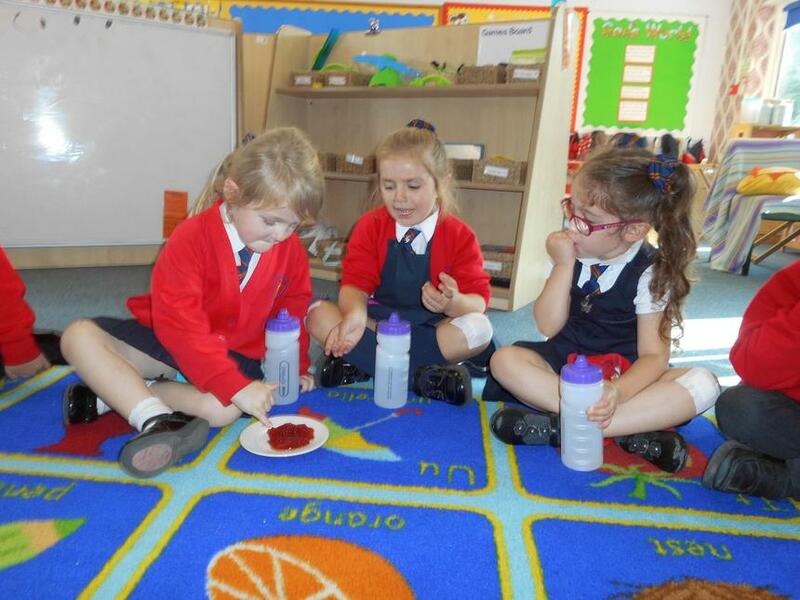 We then tasted a range of different foods which were sour, salty, bitter and sweet. We weren't keen on the lemon. 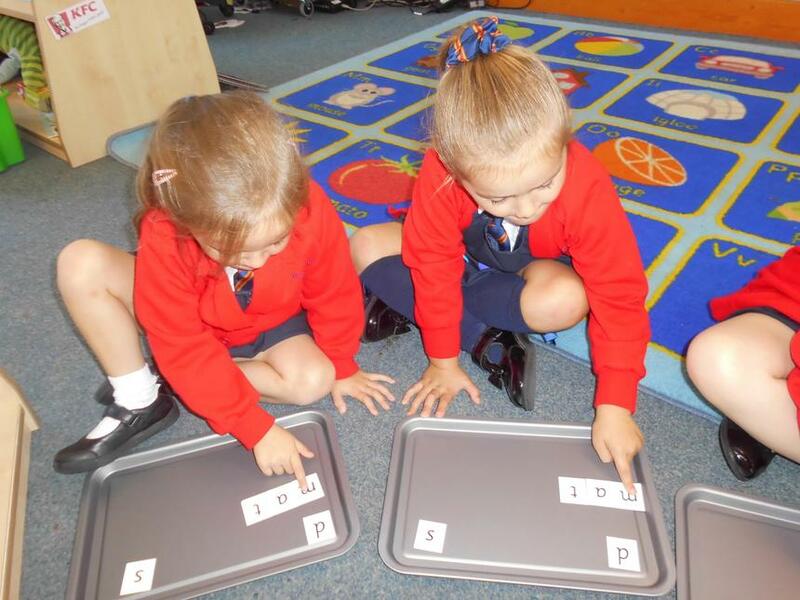 This week in Reception we began "word time" in our phonics lessons. We listen Fred the frog as he sounds out a word to us and then watch as our grown ups show us the word using the sound cards. We then use magnets to make the word ourselves and then point and sweep to read it. Finally we have a go at writing the words in our books. We have been very busy this week. 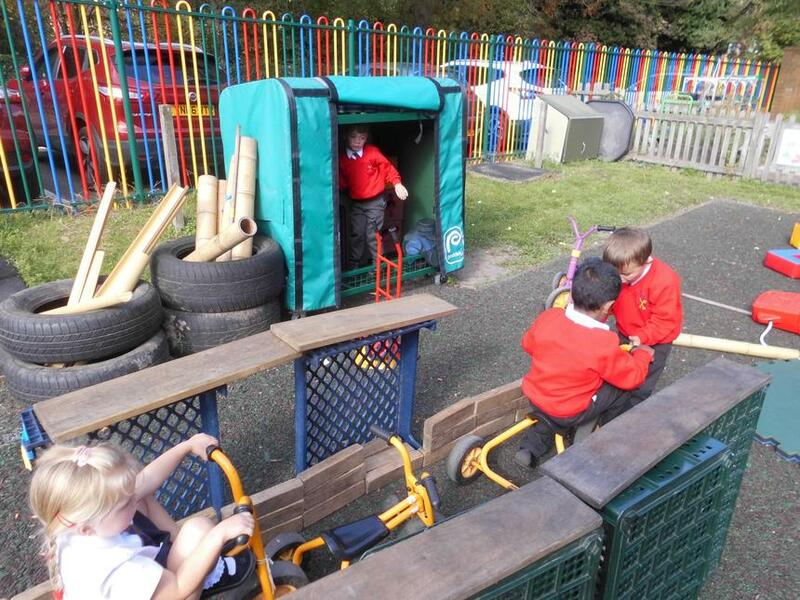 We have enjoyed lots of outdoor learning. 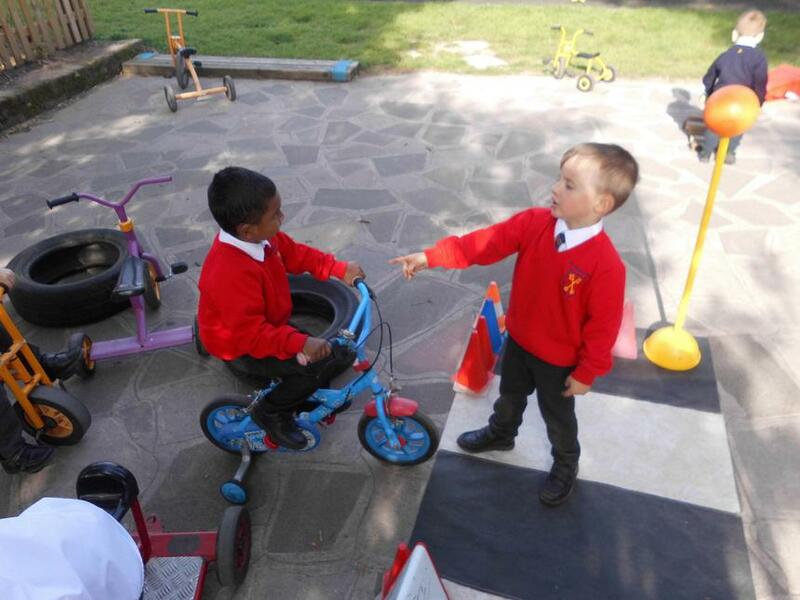 Finley created a road block in the bike area after seeing the road block on Nash Road. He made a sign to tell the bikes that they needed to stop. We have also enjoyed exploring portraits using paints and the transient art resources. The children really impressed us with the detail that they used. You can now download our school app - more details under the 'News & Events' page.